Written by Kimberley Chandler. Kimberley is 30 years old, and hails from the rugged Cornish coast of Southern England. Practicing yoga for over five years, she truly fell into her practice whilst working at Soul & Surf yoga and surf retreat in Kerala, Southern India. 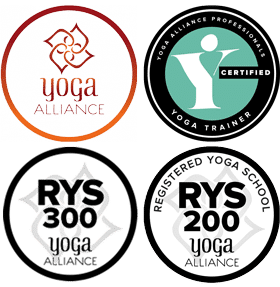 Discovering her love of the dynamic style of Vinyasa Flow, she found her firm footing on the path of yoga and completed her 200hrs in 2018 at Sampoorna Yoga, Goa. She is also a keen story teller, traveller and photographer.